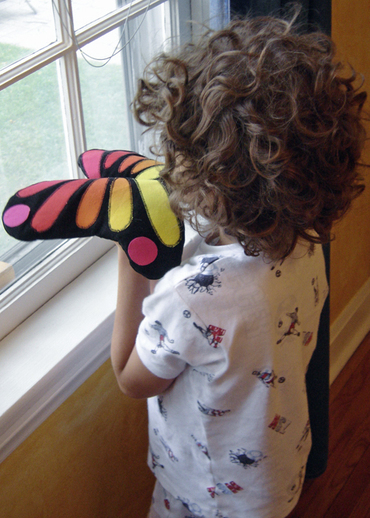 We've had some big butterfly love this past summer. If you've been following my blog you would have read about it here, here and here. My ds has spent every day in our front yard watching the milkweed we planted for caterpillars which will of course become butterflies. He has caught (and released) many butterflies over the summer and is completely head over heels. He asked me if we could take a trip to Mexico this winter to go see the Monarchs where they migrate. What a wonderful idea that would be. Where is that emergency trip bank account when you need it? 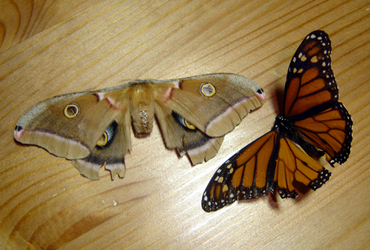 On two different occasions while gardening, I found these petrified versions of the Monarch butterfly and a huge moth. I've never seen such a beautiful moth around these parts, the markings on the wings are so unique and creative. I want to eventually put them in a window box along with other bugs we find. My son's enthusiasm for butterflies got me thinking about how to preserve his interest in this metamorphic creature and I came up with this. 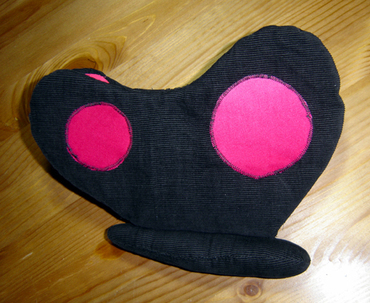 This "prototype" is the first version and it's a bit rough looking. I made it quickly so that I could just get my ideas in a completed stage before I forgot them. Writing them down doesn't always work for me. I still have to finish putting on antennas as well as eyes and maybe a proboscis. I re-purposed an old corduroy (fine wale) skirt of mine as well as some existing cotton fabric in my stash. I can already see room for improvement on the design and even in the fabric choices but that's what prototypes are all about right? My son has claimed this one for his own and wants me to make others. 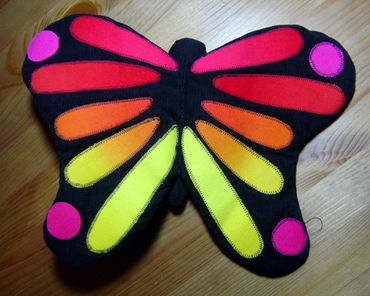 As for future butterflies, I can see how some Kaffe Fassett fabric like this, this or this would really be great as butterfly wings. Goodness, it is a shame I don't have some of this fabric in my stash already. I just might have to go shopping this long weekend. See you back here on Tuesday.